Reading and responding to comments can be one of the most rewarding aspects of blogging. Not only do they help you connect with your readers, they can also inspire later blog entries. The challenge, oftentimes, is following all the conversations around your content—on Google+, for instance, as well as on your website. So we're making things a lot simpler. Now when you're browsing your blog's comment threads, you'll see activity from direct visitors, and from people talking about your content on Google+. For example, if there's a public Google+ discussion about one of your blog entries, those comments and replies will also appear on your Blogger blog. This way you can engage with more of your readers, all in one place. 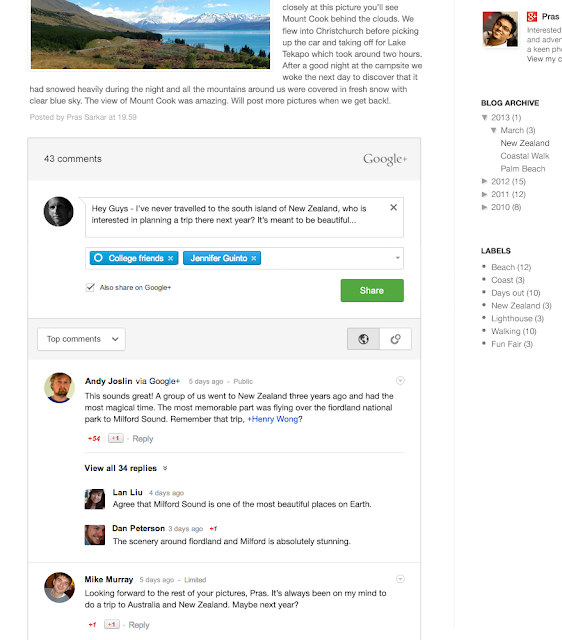 Your blog readers will now have the option to comment publicly, or privately to their circles on Google+. And when they're browsing blog comments, they can view all of them, just the top ones, or only those from the people in their circles. In all cases, you and your readers will only see the comments you have permission to see. Giving people these kinds of controls not only encourages more meaningful sharing—it can lead to more blog traffic. You can also visit any post on the Official Google Blog (like this one), or on Blogger Buzz (like this one), to see Google+ Comments in action. and +Renee Kwang, Software Engineer Interns. 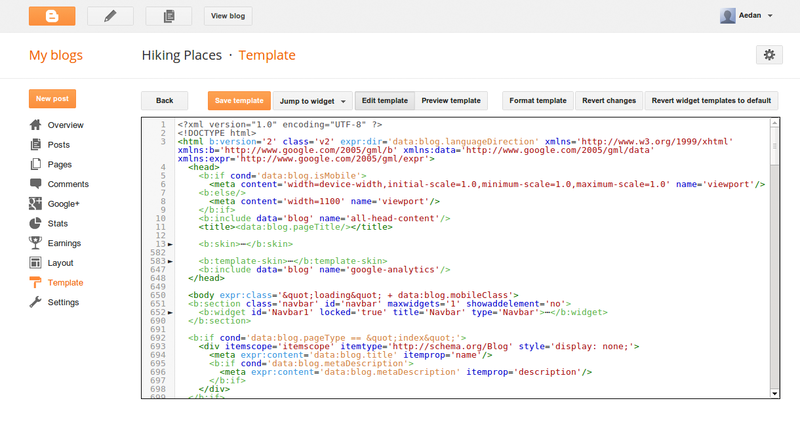 Your blog’s HTML template is the source code that controls the appearance of your blog. This template can be customized to appear however you’d like. 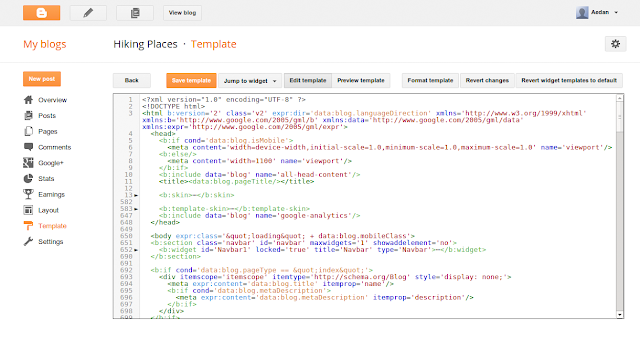 The improved HTML template editor now supports line numbering, syntax highlighting, auto-indentation and code folding to make editing your template much easier. 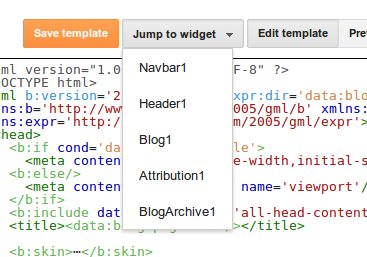 The post date is exactly where we want it, so tab back to “Edit template”, hit “Save template” and we’re done! Finally, we’ve added a “Format template” button that automatically cleans up the indentation of the template, and made it possible to search for text by pressing “Ctrl+F” once you’ve clicked into the editor. To find and replace text occurrences one by one, use “Ctrl+Shift+F” or to find and replace all occurrences at once, use “Ctrl+Shift+R”. We worked on this project as part of Google Australia’s BOLD Diversity Internship Program. We hope you enjoy the changes we’ve made! Posted by: +Samantha Schaffer and +Renee Kwang, Software Engineer Interns.